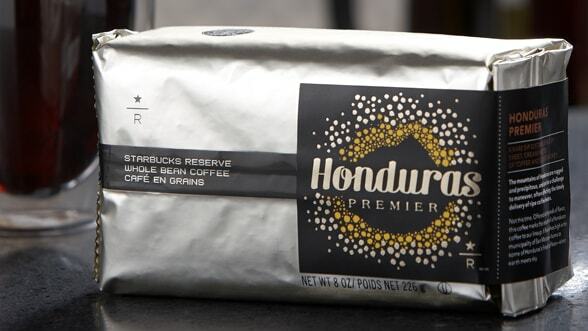 This blend marks the first time in 15 years we’ve featured a coffee from Honduras as a single-origin offering. While we’ve used other coffees from this country as blend components in some of our core coffees, this particular crop is such a knockout, standout cup that we wanted you to experience it on its own. What caught our attention were the sweet, creamy notes of toffee and clover honey in the cup – lovely, lovely flavours. While the taste of this coffee is quite approachable, the terrain it comes from is very much the opposite. These beans were grown at four small coffee farms in San Marcos, near Honduras’ highest point. The terrain here is rugged and precipitous, so getting ripe coffee from the area has always been a challenge. We’ve been fortunate to secure these beans at the peak of flavour for you to enjoy.